Our democracy works best when we all participate and everyone weighs in on who gets elected. We believe that the full participation of young people in the political process is essential to a truly representative, vibrant democracy. Together young people have the power to elect the next generation of leaders who will fight for our shared vision of the future, but only if we vote. 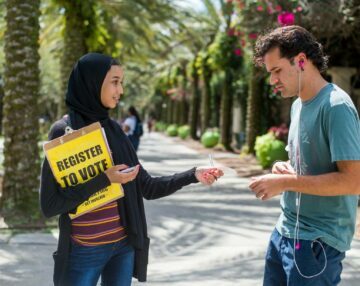 The Student PIRGs New Voters Project works on dozens of campuses across the country to activate the largest voting block in the country. Through class presentations, educational events, and online outreach we work to make sure every student has the opportunity to have their voice heard in our elections. Together we can have an impact on our future, on our state, and the country. In the 2018 midterm elections, we say an incredible increase in youth voter turnout. Despite increased turnout, younger generations still vote in lower numbers than older generations. We can choose to let other people make decisions that impact our future, or we can vote and get a future that works for us. So we’re continuing the effort to educate and empower young people around the country to register and vote. As we prepare for 2020, we’re working with college campuses, cities, and states make it easier and more accessible for students to vote. We’re building support for statewide reforms including automatic voter registration, pre-registration for people under 18, and same day voter registration. And we’re working with college campus administrators to make voting and civic engagement more institutionalized in residence halls, class registration, and other aspects of student life. 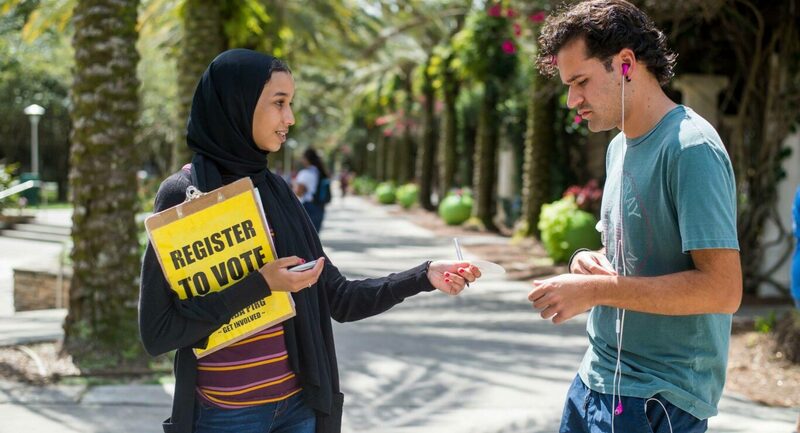 The Student PIRGs’ New Voters Project is America’s oldest and largest nonpartisan youth voter mobilization program. 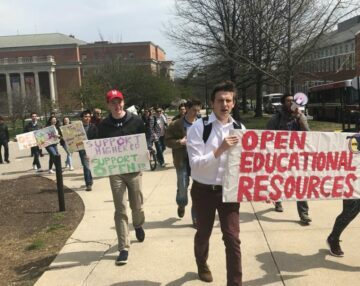 The Student PIRGs’ New Voters Project, a 501(c)(3) organization with 4945(f) status, has run peer-to-peer young voter mobilization drives to turn out the youth vote on college campuses for more than 25 years. The New Voter’s Project does not endorse, either explicitly or implicitly, a political candidate or political party for elected office. 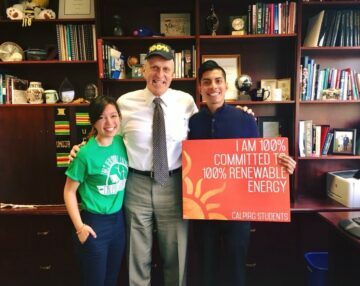 Our goal is to engage as many students as possible in each and every election cycle in order that our generation be represented in the political process, regardless of ideology or political affiliation.